And yet, lawyers aren’t always known to be the picture of good health. It can be difficult to maintain a healthy, balanced lifestyle while in a notoriously high-stress profession such as the law. That’s why the Denver Bar Association wants to encourage the legal community to attend the 2nd Annual DBA Health Fair! For only $10, and an hour of your time, you can earn one ethics credit and take advantage of copious health and lifestyle resources. 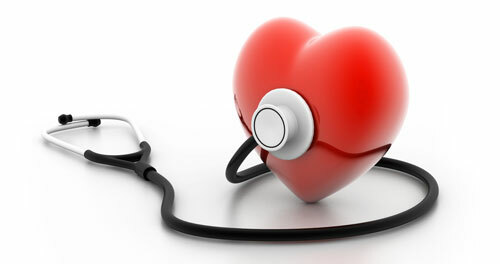 The health fair will be held from 7 a.m. to 1 p.m. on Thursday, Jan. 8 at the DBA offices (1900 Grant St.). Members and non-members are encouraged to stop by any time to reap the following benefits, and to kick 2015 off with a healthy bang! A variety of health care professionals will be at the bar to make healthy check-ups easier for you. The Visiting Nurses Association will offer health screening services with cholesterol, glucose and body composition tests, and flu shots (for $25). Professional from National Jewish Health will perform pulmonary exams to check lungs and breathing. Doctors from the Denver Children’s Hospital will consult on results and any other questions or concerns. Acupuncturists, Jacqui Strike and Shannon Stevens, will offer complimentary acupuncture during the fair. A chiropractor, Dr. Colby Johnson, will also perform complimentary posture analysis. A Massage Therapist, Thadd Alan Dudrey, will be offering complimentary chair massages. Carrie Sarazin, a Yoga Teacher and Practitioner, will offer recommendations in regard to yoga practice and assist you in bringing this practice to your desk chair. And Lorraine D’Aversa, Nutritionist, Lifestyle Consultant and Holistic Realtor, will offer nutrition advice and recommend nutrition and fitness apps. A one-hour ethics CLE program (free with admission), “Compassion Fatigue For Your Personal and Professional Life,” will be presented by Sarah Myers and Barbara Ezyk from Colorado Lawyers Assistance Program. It will be held during the health fair from 11 a.m. to noon. For more details and online registration, click here. In addition to the exciting opportunities above, attendees will receive healthy snacks and refreshments: granola bars, coconut water, Evol burritos, Teatulia products, and more. RSVP for the health fair online here, or email lunches@cobar.org or call 303-860-1115, ext. 727. To RSVP for the complimentary ethics CLE, click here.